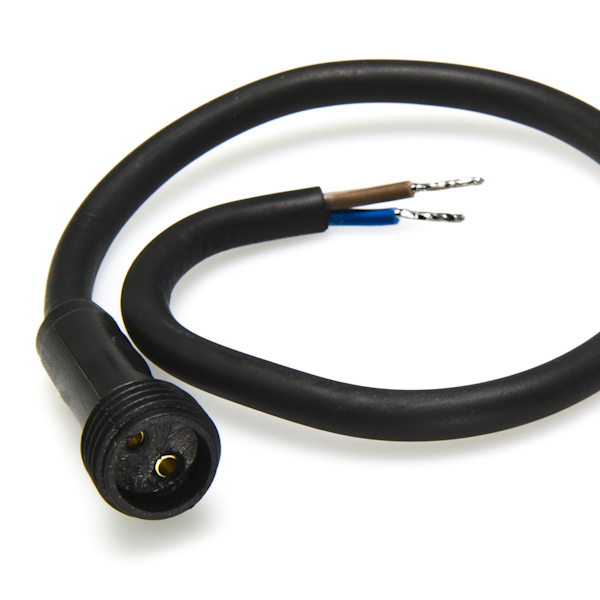 G-LUX series Pigtail Power Cable for wiring G-LUX series Lights into existing 12 Volt AC or DC landscape system. 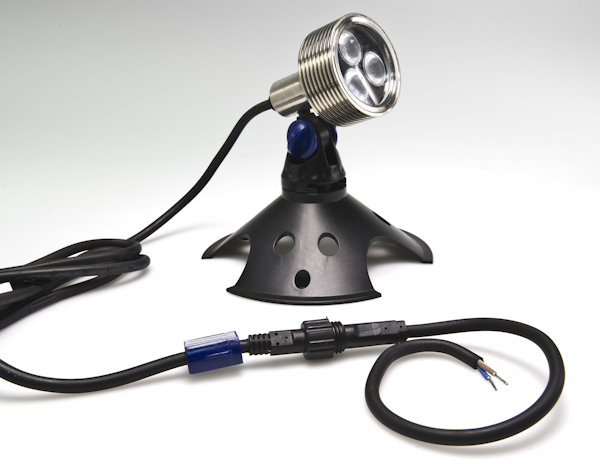 Compatible with G-LUX series plug and play LED landscape lights and accessories. 18 gauge, 1 foot length. Not waterproof (IP44) but for waterproof applications use GLUX-WCC to create a waterproof connection. See all compatible G-LUX series products and accessories. Easy to attach, but the pigtail could be a bit longer. Easy way to tie into a GLux system. When ordering the path lights and LED spots, it was my intention to add on to the cable length to give me a further reach (I installed my lights using several centrally located hubs). 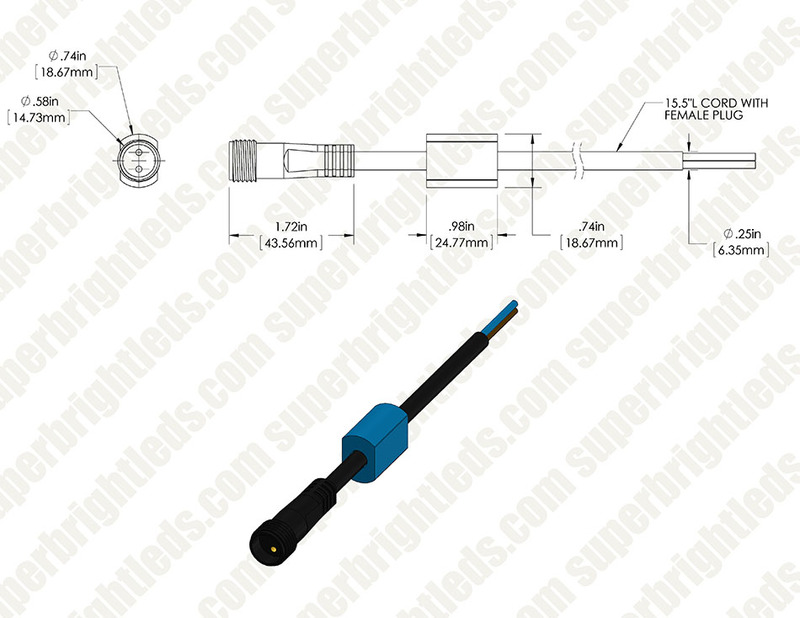 This extension is used for SBL's "plug and play" and while I could have simply cut the end of the original cable off then attaching the extension cable I wanted to keep this as solid as possible and original to the design, so I ordered this plug and play extension. Barrel connectors could be slightly better made..one was deformed upon removing from package and difficult to screw onto the lamp end, but I was able to make it work.